Carrie Mae Weems is a huge inspiration to me. Though she is a photographer, I love how she combines imagery and words to practice visual storytelling! One of my favorite series of hers is Not Manet’s Type, created in 1997. My grandma is losing her memory and strength rapidly so she stopped cooking a while ago. The Jamaican restaurant, Back Home 2 on 169th street is significant to me because they have incredible curry goat and it reminds me of her cooking. I also really love being at La Finca del Sur. Each time I’m there, I learn something new. Malanya Graham is a Bronx-based Black femme artist who works with paint and collage. 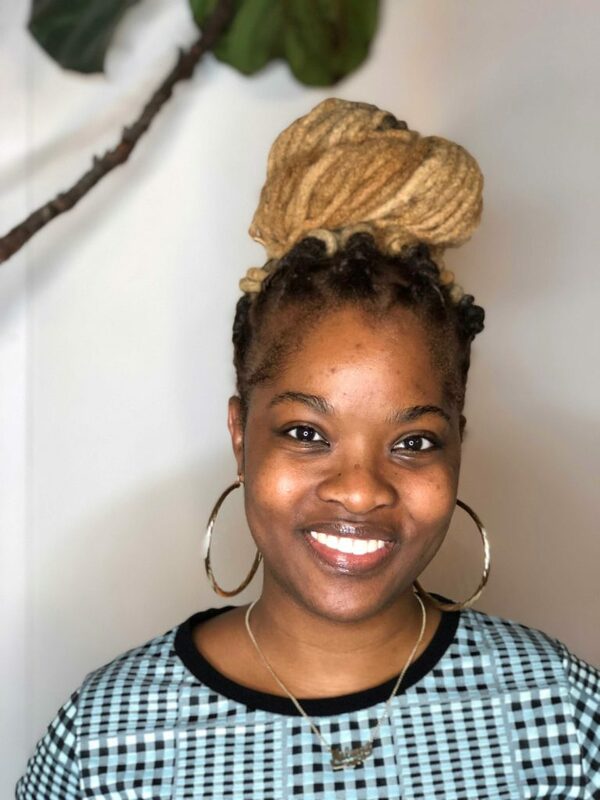 She centers her practice on visually exploring queer aesthetics of self-determination, systems of Black hope and faith, and trauma-informed survival.